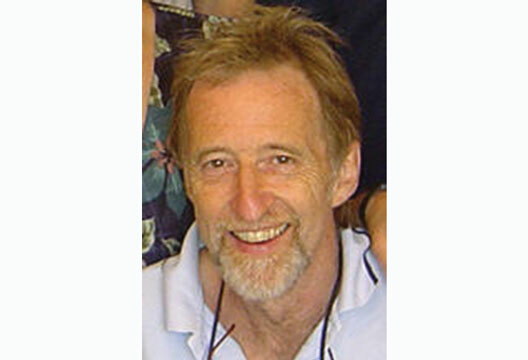 I first met Roy Childs in the late 1970s when I joined NFER-NELSON, a major source of the UK’s now flourishing psychological testing industry. I wanted to capture his views about how psychology has changed, the challenges of running a company and the role of psychometrics in delivering psychological services. Roy’s route to working in psychology seemed very informal compared with now. ‘Yes, I did my degree and then I learnt on the job. At NFER, when I was asked to do things like deliver a course, I would read a book, design the course and deliver it (one such was for the British Council to an international audience with government ministers). the gross national product does not allow for the health of our children, the quality of their education, or the joy of their play. It does not include the beauty of our poetry or the strength of our marriages; the intelligence of our public debate or the integrity of our public officials. it measures everything, in short, except that which makes life worthwhile. I left university unsure of my next move. I had taken up a placement in my third year at a memory clinic in Manchester and enjoyed the work there, but I was keen to further my education and knowledge, so I opted to complete my master’s in research. I had an opportunity to work in collaboration with my university and the memory clinic to complete this. Here I compared neuropsychological test performance with Alzheimer’s disease and vascular dementia and specifically focused on tests that require semantic functioning. Throughout this year, I learned a tremendous amount around managing my own time, using statistical analysis and designing my own research. For a year after graduation, I took up various voluntary positions in different charities, working with populations such as adults with learning difficulties, adult mental health, rehabilitation into the community and computerised CBT. This was a perfect opportunity to understand the work of a psychologist outside of the academic world and gauge whether psychology was the career for me. I had been fortunate to be offered a voluntary placement for six months at the Walton Centre for Neurology and Neurosurgery in Liverpool as an honorary assistant psychologist. I worked for the Pain Management Programme, auditing for service evaluation and shadowing some of the psychology sessions with clients with chronic pain. I enjoyed the experience and it gave me an insight into how NHS settings are structured, how multidisciplinary teams work and what it means to live with chronic pain. is a difference between reading around a neurological disorder and working alongside clients in an assessment environment. My role at the Walton Centre consists primarily of neuropsychological testing with individuals who have neurological difficulties and head injuries. I use a variety of different assessment tools to measure cognitive and memory functioning along with mood levels. Additionally, I am able to get involved with assessments needed in surgical procedures such as the Wada test for epilepsy patients. This is a very exciting opportunity as it allows you to understand how different lateralised areas of the brain are responsible for each function. Research is ongoing at the Walton Centre and it is nice to be involved in such ground-breaking projects. Recently, I have been involved in designing an episodic memory test for use with epileptic patients to access accelerated forgetting. Often I am asked to do literature searches, such as if a patient has attended with symptoms that are unusual or if we want to look into specific information of certain tests. As part of my role I work in association with a wider multidisciplinary team within the hospital, for example neurologists and neuropsychiatrists. I have enjoyed taking time away to understand their job role and how they interlink with neuropsychology. I get to understand where referrals come from and to see a full initial assessment carried out with a varied population. At the Walton Centre, I get to work with clients that have a wide range of neurological disorders such as Alzheimer’s disease and other dementias, Parkinson’s disease and movement disorders, multiple sclerosis, epilepsy (see box, ‘A typical case’), infections of the brain and traumatic brain injury. It is eye-opening working with such a variety of clients as each has different strengths and weaknesses, range of difficulties and attitudes to testing. Neuropsychological assessments in this setting are used to gauge suitability for surgery and recovery afterwards. It is also used for repeat assessments over 12 months to determine whether there have been changes in a client’s cognitive profile or mood. Here, I am able to see specialist cases and assess clients that have specific, localised difficulties that require specific neuropsychological tests to measure specific cognitive functioning. I have been able to observe clinical psychologists at initial interview to see how different assessments are selected for each individual and their difficulty. It is a pleasure working with the department, surrounded by experienced clinicians able to provide advice on clinical doctorate applications, and ways to further personal and professional progression. Every month the whole department attends a department meeting where we discuss issues and opportunities. Attached to this meeting is an educational teaching session where current research is presented to us and speakers are invited to talk about how their service can help us in terms of referrals. Once a month, we come together for lunch and journal club. This is a brilliant opportunity to critically appraise current literature around neuropsychology. You learn ways to evaluate journal articles and understand what makes a good piece of research, and to keep up to date with current issues in the field. I receive supervision every week for approximately an hour. I use supervision to discuss support issues and needs, to learn and access knowledge and to develop my self-awareness. It is a useful space to discuss difficult situations that I have found challenging with patients and other professionals. Every eight weeks, I meet with my line manager to discuss my professional development. Here we discuss ways that I can grow as a professional and ways that will help me to further my knowledge in the area of neuropsychology. This often leads to helping out with research projects within the department, providing intervention with patients that require additional memory strategies or anger and anxiety issues. It could also include observing new clinics or surgery procedures, such as awake craniotomy. I also meet with the other assistants within the department every week to discuss issues and topics and to share experiences. Peer supervision is a great way to explore the role of the assistant psychologist and suggest ways in which we can help one another progress. I also attend university assistant psychologist meetings, where we can share information and network. Of course, there are difficulties too. Working in a busy clinical environment can often lead to an intense workload. Being able to balance administration and clinic time is difficult when you are keen to get involved in other projects. Time management and organisation is key. Working with such a supportive and understanding team makes it is easy to discuss and resolve situations with them. One of the major difficulties within this role is managing emotions. Working with patients that often have progressive and chronic illnesses becomes hard when you know there is only a certain amount that you can help and intervene, especially in an acute setting. When testing patients there is a rapport built, so it is very important in the role to remain empathic but understand distance. The temporary nature of the role is difficult in the sense of how fast you have to learn new information and that you have such a short time to understand the client group. It is difficult to find any stability within the profession when you have to move around after contracts are completed. I see the benefit of having 12-month contracts as it allows you to get more experience in different fields of psychology. In reality, in this current economic climate, it is very difficult to move around as there are not as many jobs available. With this temporary nature comes change and new assistant psychologists: this results in training and adjustments for the whole department. Already during my stay at the Walton Centre the team has expanded. We have new additions to the team, neuropsychologists and a new line manager. This alone shows that it is the whole of the profession that is ever-changing and evolving. The learning curve since getting a job at the Walton Centre has been massive. Each day I learn more from other assistants, trainees and clinicians about the profession. Having only worked in neuropsychology settings to date as an assistant psychologist, I know a great amount about neuropsychological assessments, but I would like to know how they fit into different areas of psychology. Unfortunately, working as an assistant psychologist, getting the opportunity to see this is limited, which makes the aspect of clinical training more appealing. This year has been my first time of applying to the clinical course, and I am excited to start my journey through the application process. Although it is daunting, I am very keen to see what each stage consists of: initial application, online written tests and interviews – if I get that far! Although I am looking forward to hearing back from the universities that I applied for, I am also happy with the position I am in at the moment. Working as an assistant psychologist has many benefits, and it means that I get to learn as much as I can before I do get accepted onto the course to complete training. As much as I am keen to further my knowledge and skills, I feel that I am learning each day in the setting I am in now. Today I am seeing a 21-year-old woman who experiences tonic clonic seizures as a result of epilepsy. Unfortunately all medications have been exhausted and her epilepsy is now drug-resistant. The team at the Walton Centre are now considering surgery to stop or at least reduce seizure activity. Epilepsy has dramatically affected her day-to-day life and her quality of life has suffered as a consequence. Prior to having seizures, she was a happy, sporty and academically minded individual. Now, she is unable to drive and has not been able to maintain a job. Most upsetting for her is that being alone with her newborn baby is considered a risk. Today, she is visiting the Walton Centre to undergo neuropsychological assessments as part of her pre-surgical work-up. This assessment examines current cognitive functioning and psychosocial factors relevant to considering the impact that epilepsy has, what the benefits may be for the individual and whether there are any psychological and social factors that may affect the long-term outcome for the patient. This patient is first seen by a neuropsychologist, who discusses the background to their difficulties, impact on their life, current functioning, expectations of surgery, their level of support and plans post-surgery. I will then conduct a comprehensive battery of neuropsychological tests to assess their abilities in a range of cognitive functions, such as intellectual ability, memory and executive functioning. We also collect questionnaire-based data that quantifies levels of mood symptoms and quality of life. This data is collected and is used as part of the pre-surgical evaluation and also as a baseline for post-surgical assessments. Several weeks later, we see this young lady again. This time it is for a Wada test. During this test one hemisphere of the brain is temporarily anaesthetised while the patient is awake so that we can test the integrity of memory and language functions in the non-anaesthetised hemisphere. During this procedure we work collaboratively with colleagues from neuroradiology and neurophysiology and have to work very accurately and efficiently in a time-pressured and difficult environment. We see this patient again after successful surgery. She is now seizure free and we can see that she has now adopted a new way of life. She is able to complete tasks that she once wasn’t able to; she is back at work and, more importantly for her, she can now hold her baby knowing that there are no risks of seizures. We talk about some of her anxieties regarding the future and feelings of loss about things she missed out on as a teenager. Overall, she a happier and more confident person and her life is no longer dominated by epileptic seizures.